I swore to myself I would never listen to children's music before I had kids. I envisioned my kids enjoying Radiohead and Sufjan Stevens and Journey and Queen. And they do. When "The Final Countdown" comes on Pandora, my son yells "Mom, it's your favorite song!". But in the car, we have Sirius XM, and I LOVE IT. We all get so much enjoyment out of it, that I can't imagine not renewing. And when I'm driving the kids to their various actives, we almost always are listening to Kids Place Live, channel 78. I was reluctant at first, but after a couple of weeks, we couldn't stop! It's gotten to the point where I forget to change the station after I drop the kids off, and happily listen to what they have to offer. Aside from the programming, songs and conversations being incredibly fun, they're also very creative and inspiring. Don't believe me? Here's what you're missing. I thought the music was going to be twinkle-twinkle around the clock. It is so far from it. Let's start with some of the best of the best. Parry Gripp, a very quirky singer/songwriter and the lead singer from Nerf Herder, has some of the funniest songs on the dial. His songs are so beloved by all riders in the car, that you can hear an intake of breath when he comes on. His videos are as nutty as his lyrics. 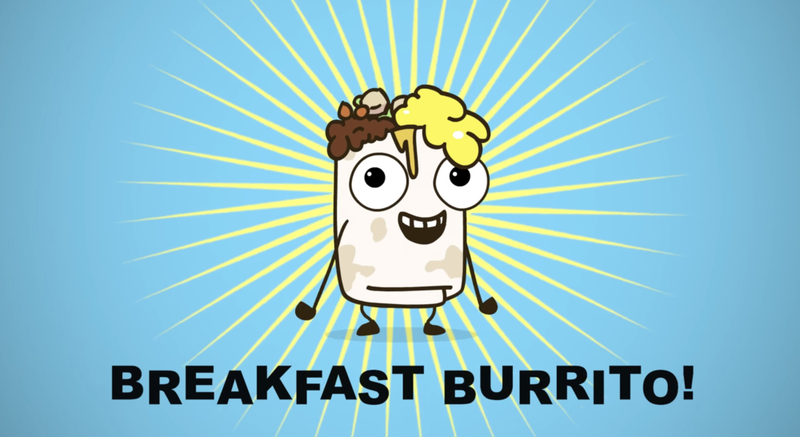 Here's our current favorite, Yum Yum Breakfast Burrito, but other, food-oriented awesomeness includes Raining Tacos, Do you like Waffles and Last Train to Awesometown (which features 5 different nachos). While I am very food oriented, so is Parry, which is just another reason why I love his music. Aside from being a childhood friend, Polly and her husband Andrew make such fun music together! The song Grapes was a number one for ages on the station, and for a good reason. It's addictive, delicious, and it really pinpoints the feeling of wishing you could leave a party, go home, and eat some grapes. Other hits that I LOOOOOVE are Tiny Dino, a beautiful cover of Forever Young, and a personal favorite, Waiting. They also have an incredible podcast EarSnacks, if you're interested, which provides even more entertainment that is fun for kids and adults. Mindy is the host of the morning show. She is crazy quirky and unendingly creative. Why this matters is because kids call in to share stories or answer questions. But sometimes, because they're kids, they only give her half the story to work with. Or they share something really gross or personal. Or they get confused because they are in shock to actually talk to her. But she handles all of it with total grace and humor, and she always adds an extra element that you wouldn't expect. If someone calls in to discuss a hard day they're having, she gives them advice, support, and then tell them to fill their mouth with marshmallows and try to sing at the top of their lungs. And everyone laughs. Even the kid who is having a rough day. She also has a WONDERFUL podcast with NPR's Guy Raz called Wow in the World. Jack Forman is so adorable and friendly and kind I can hardly stand it. His laugh is infectious, and his warmth and playfullness with the kids is heartwarming. He has his own band, Recess Monkey, which is a powerhouse of brilliant, awesome Grammy-nominated nerdy fun. The fact that he makes a song as adorable as Yodeling Yoda, while giving away imaginary spatulas, on a game show where everyone wins, makes me smile. I've mentioned Jack and Mindy above, who host the morning and afternoon shows respectively, but I also have to mention two more shows. Couch Potato Stew, hosted by the great Paul Bachmann, airs on the weekends, and he plays all of your favorite songs from TV, video games, and movies. And sometimes he goes way back. Fraggle Rock theme songs are mixed in with songs from Coco and classic Disney. Kate and Becky, who are editors for National Geographic as their day job, are two very fun and engaging hosts who talk about, as the name suggests, weird and true events around the globe. And the categories are unpredictable, and the chemistry is undeniable, and I can't get enough. You've never heard the car quieter than when Kate and Becky are describing the world's longest worm. 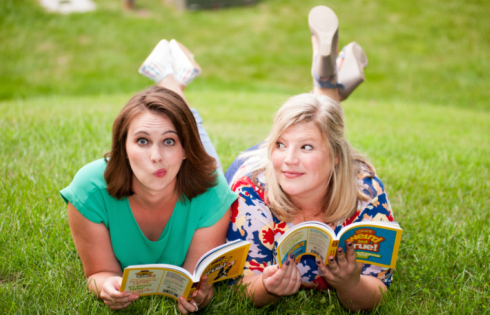 We have all learned so much from Kate and Becky, by accident. If this seems like a love letter to channel 78, then you're right. They have curated entertainment for a wide range of ages. As a creative professional and human, it is always nice to be surprised by something unexpectedly awesome. As a mom, I bless them for the quiet moments that interrupt an argument in the back seat. Because who can be mad when there is an entire song playing in the background, devoted to finding where the cat threw up (again).